WikiCommons The poet in 1939. So let’s hear it for the greatest writer ever to live in the East Village. What’s that, you say? James Fenimore Cooper? Leon Trotsky? William S. Burroughs? Allen Ginsberg? Hmm. No offense to the above authors, but surely you jest. The greatest writer ever to settle in the East Village, a transatlantic literary god whose appearance was as unexpected as that hawk showing up in Tompkins Square Park, was the English-born poet, W.H. 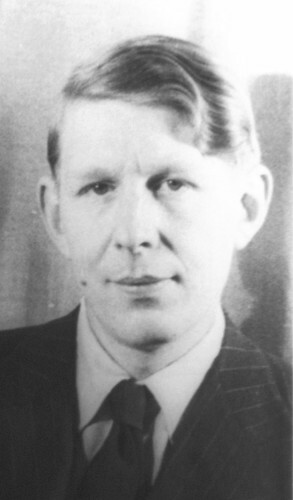 Auden, who lived at 77 St. Marks Place from 1953 to 1972. In 1917, Trotsky had edited a dissident newspaper in the same building. The painter Larry Rivers was already living there when Auden and his lover, Chester Kallman, moved in. And the man who had previously occupied their railroad apartment was an abortionist. For neighborhood “color,” you can’t top that.